“Get the documents to both the signers and the signing agent 24-48 hours in advance, and give everyone involved in the process a chance to ask in questions they may have in advance instead of scrambling around at the closing table,” New York Notary Patricia Warmack commented on Facebook. B. Nicholas Barthold of Pennsylvania said borrowers need more time to understand the impact of the documents they are signing prior to the closing. “It should be mandatory that every document, including the HUD statement, be clearly explained to the borrowers,” Barthold wrote on Google+. Several signing agents actually praised Quicken Loans for its efficiency. “The industry should look at Quicken Loans packages and procedures,” said Federico B. Saiki of Florida, commenting on LinkedIn. He said the lender generally keeps loan packages at around 70 pages, unlike other companies that sometimes require more than 100 pages of documents. Having time for the borrower to review the documents beforehand makes so much sense. I find it very frustrating to go through a closing with my hands essentially tied behind my back because I'm not allowed to explain certain documents and have to call a lender or title company for an official response. Of course the borrower needs to understand it is now their responsibility to review and ask questions before the notary arrives. That will probably be hit and miss. 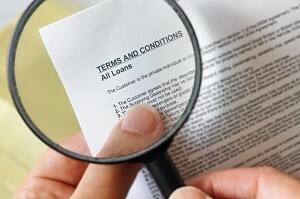 When borrowers receive the loan packet prior to the closing, most don't review them prior to the closing. Borrowers should be informed by the lender or title company that it is imperative that they review documents and ask any pertinent questions or explanations prior to their scheduled closing. I Love doing QUICKEN LOAN signings! Doc's are always on time,they even provide INK PENS for the signings! And if the borrower has a question at the closing table someone is ALWAYS there to answer their questions! No waiting on call backs! I can't say enough good things about QUICKEN LOANS ! They got it right!